Nice wand - used for releasing tables @ employee holiday luncheon! The wand was an hit, too! Ok, but not substantial enough. The fairy wand is just as it appears. 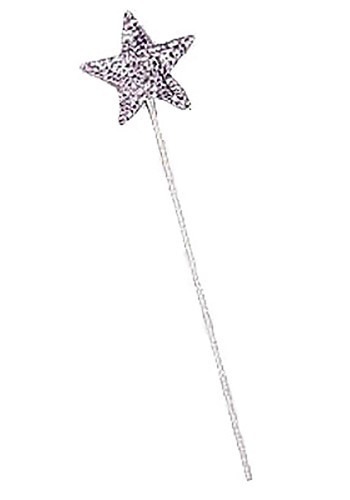 It sparkles nicely and the wand is sturdy, Price was good. No point in keeping it since costume did not fit my arms! Sequins were only on one side. Had to add glitter to the backside and to make it look the same added glitter to the front.